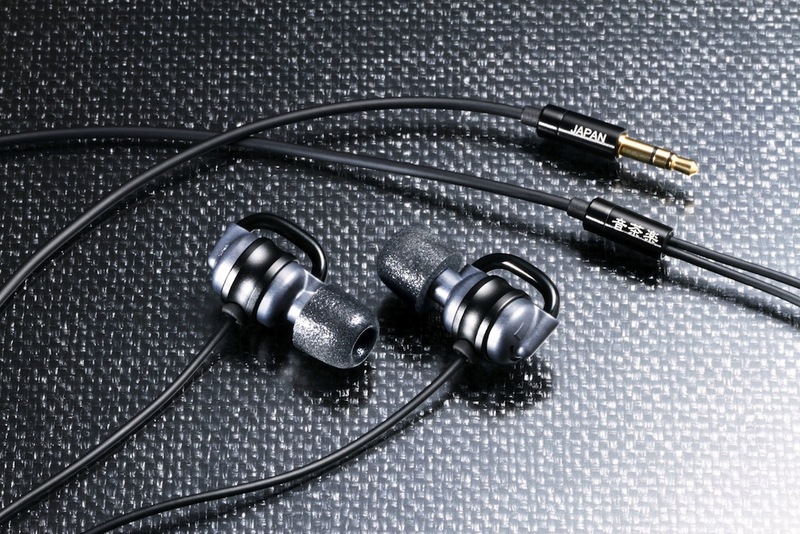 With its extraordinary sound quality exceeding the level of the conventional canal types, Flat4-Sui”粋” won the No.1 hot-selling product at Fujiya Avic in 2012. The Flat4-Kuro”玄” is an upgraded model of the Flat4-Sui”粋”, and its sound quality is thoroughly enhanced based on the Flat4-Sui”粋”. Excessive sound due to mechanical vibration slightly occurred in the cabinet and phase correction tube was drastically reduced in this model. The high damping alloy M2052 for power coating is impressed, and hybrid vibration-proof finishing is treated inside the cabinet. Vibration-proof coating around the phase correction tube realizes the sound reproduction of a conventionally hard-to-hear feeble afterglow.